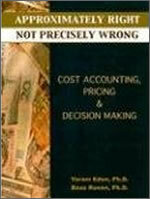 This book presents support tools for pricing, costing and decision-making in the modern business environment. It presents innovative methodologies, some of which have been developed by the authors and implemented in dozens of organizations, and the theory of constraints (TOC). These tools, such as the Global Decision Making (GDM), help managers in all types of organizations to cope with problems for which the methodologies of traditional cost accounting or the Activity Based Costing (ABC) approach have no suitable answer.